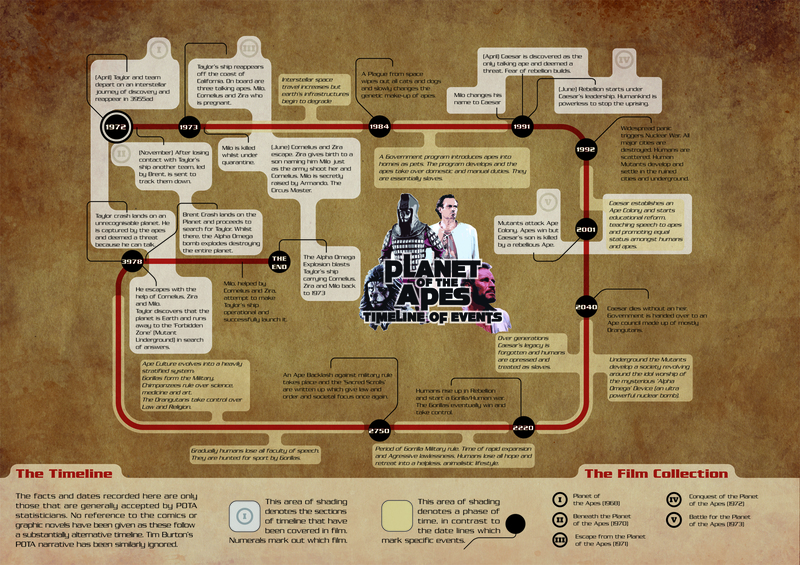 Another infographic masquerading as a timeline, but I’m okay with that because this image dose a great job explaining the oft confusing time travel issues of the Planet of the Apes movie. 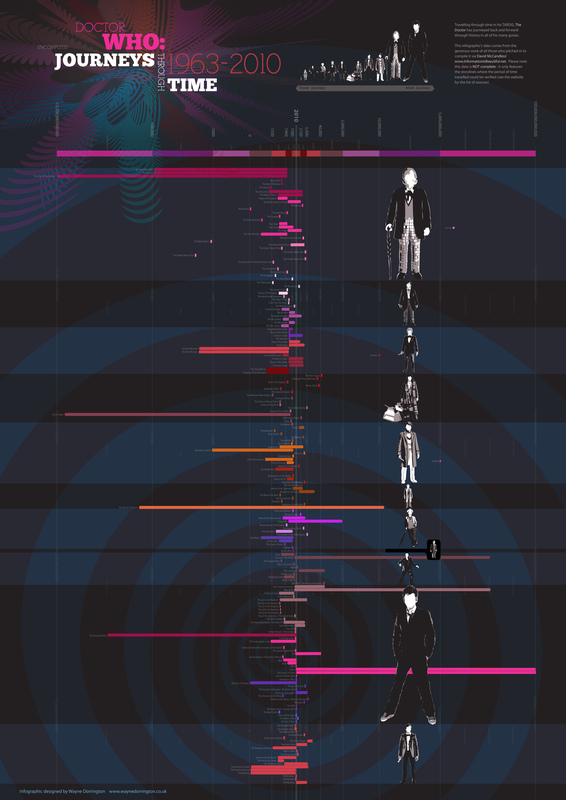 And since it isn’t a factual timeline, I’m giving it some latitude. 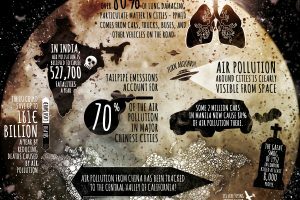 The first thing you will notice is that for a infographic it is heavy on the info and light on the graphic. In fact, the only graphic on this is a montage of a few memorable characters from the Planet of the Apes movie and its sequels. A red link directs you through the more pivotal moments and years of the story line and the legend at the bottom instructs you on the color coding, shapes and symbols. I am a bit curious about the background choices. I assume it was meant to appear old and rustic much like a map. Not sure that works especially when it makes the content that much more difficult to read. The typeface choice could have been better as this typeface is hard to read and use of the italics doesn’t help matters. 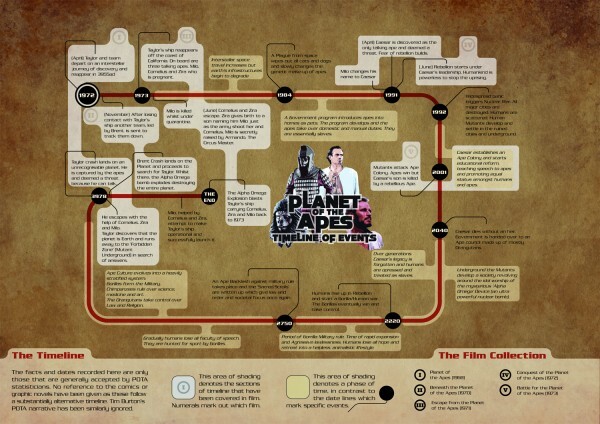 Admittedly this infographic will have limited appeal, fans of the POTA movies and a few highly intelligent chimps looking for a takeover strategy, but it does cover the information it promises and if you decide to have a Planet of the Apes movie marathon, it would be helpful to have this infographic as a cheat sheet. 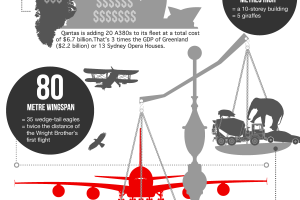 Click for the larger infographic to read the text. Thanks to Phil Laver at http://philiplaver.tumblr.com for this fun and creative submission.